The initial impetus for the FCN came from the Cool Wirral Climate Change strategy. 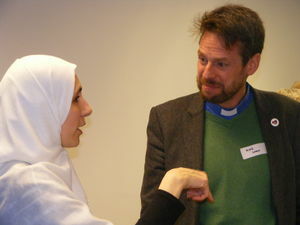 A strand of engaging with faith communities, and support from Wirral Council enabled us to hold an initial Interfaith Week 2017 event to consider how we influence our communities on sustainable living and to establish a need for faith focused city region wide dialogue and action on climate change. We've now delivered 2 successful partnership Interfaith Week events, supported by partners including Wirral MBC, Energy Projects Plus, MET, Planet Heswall, Wirral Together, Wirral VCA, Merseyside Cycle Campaign and faith communities including Eco Churches and most recently the Wirral Deen Centre. The focus for the 2018 event, supported with funding from Westhill Endowment and Merseyside Council of Faiths and hosted by the Wirral Deen Centre, was energy. The need for an energy focus emerged from evaluation undertaken at the 2017 event. The 2018 event was attended by almost 50 faith representatives from different Christian denominations, Mosques, Liverpool Ganesh Temple and Liverpool Baha’i community. To develop, establish and sustain a Liverpool City Region wide ‘Faith & Climate’ partnership network to principally enable members of different world faith communities to inform, inspire, share, take and communicate stewardship actions on climate change and in so doing influence the communities they serve to live more sustainably. Westhill Endowment have provided a grant to cover the costs of Faiths4Change coordinating the Network and establishing an active stakeholders group to organise 2 further faith & climate focused events in 2019. Although coordinated by Faiths4Change (a member of the Cool Wirral strategy group, Year of Environment Steering Group and member of a local coalition of environmental action groups), the FCN will be shaped by a stakeholders group. The stakeholders group is currently made up of 4 members of the Cool Wirral strategy group, 5 representatives of Wirral based faith communities and the Liverpool City Region Year of Environment Coordinator. The Network is fluid and remains open to new stakeholders. 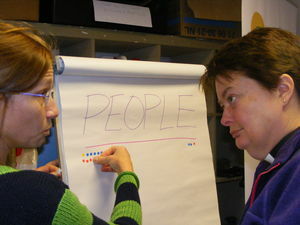 Sharing resources (skills, networks, buildings, knowledge, communities – belief and local, regional, national & international and funds) and developing relationships through common cause, values and commitment to caring for the earth and working together means we are more likely to continue to be active and achieve our aim. 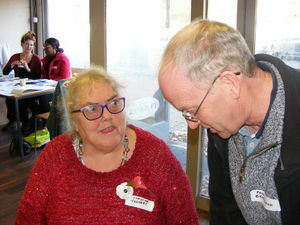 The Stakeholders Group met in mid - January 2019 and are currently planning an active waste focused event in May and a food and fasting one for September. The Faith & Climate Network is linked into other environmental and faith based actions, recognising the need to grow together in common cause across the city region. We are connecting into the strategic level through presentations to the Faith Leaders Forum and Churches Together in the Merseyside Region in coming months. Our events are Liverpool City Region Year of Environment 2019 celebrations, open to all and encompassing Eco Church activities. 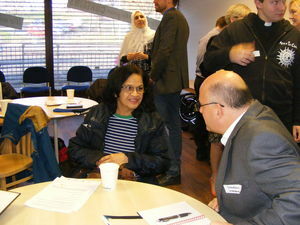 Strong links with the Diocese of Chester and the Diocese of Liverpool draw in further strands and additional resources. Faiths4Change has recently been appointed as coordinator for Liverpool’s Eco Diocese registration and programme.